It’s hard not to think of the Beach Boys when you read the name of this canvas. 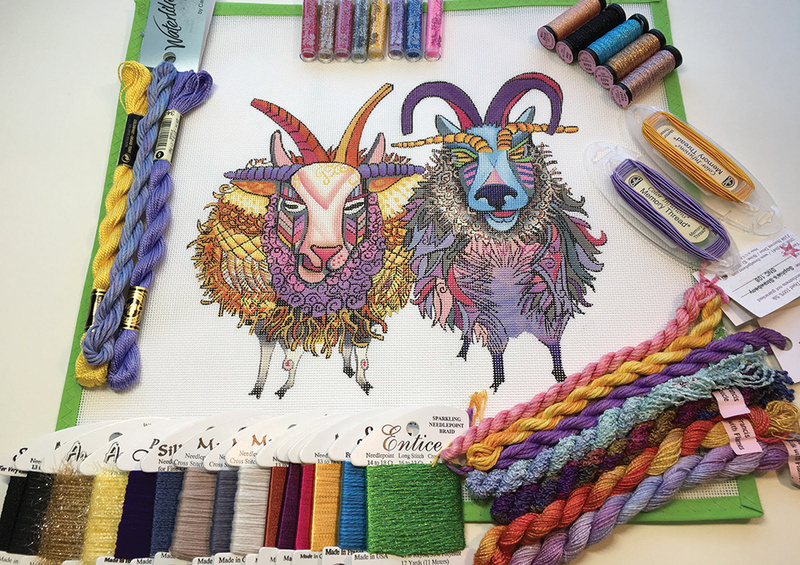 This crazy canvas by Brooke Connor now comes complete with a stitchguide! What I love about this guide are the super cool threads that it features. Four different threads from Stef Francis in the UK. These are truly special threads beautifully hand dyed. These sheep are waiting to come home to you. Give us a call at 410.296.0405 or order on-line here.